BAROQUE MUSIC: historical and geographical context. Given the difficulties of travel and communication in the 16-1700s, it might easily be assumed that composers would know relatively little of other composers and other countries. Nothing could be farther from the truth! Travel by stagecoach may have been lengthy, uncomfortable, and probably only for the welltodo. 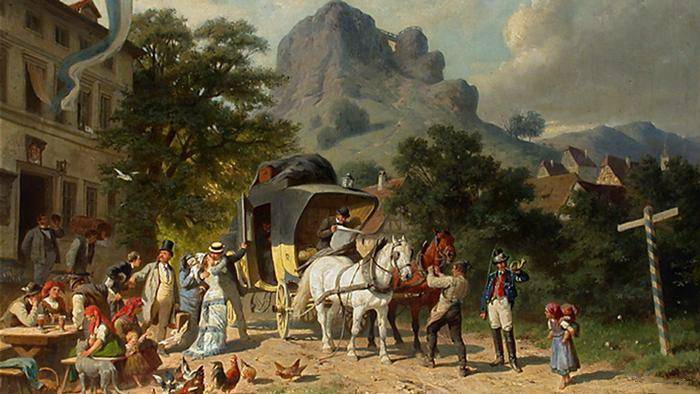 But the many postcoach monuments still to be found in Germany, with their journey timings between towns precise down to oneeighth of an hour attest to the high degree of organization and reliability in this mode of travel. Musicmaking was highly prized by many of the princely and kingly courts, and leading musicians would often be financed for their journeys, so to bring back the latest styles and compositions. During the first half of the 1700s, German music adopted the Italian forms of the concerto and sonata, and with them, much of the Italian baroque "vocabulary" together with the latest Italian compositions. The papacy returned to Rome in 1377, and after the middle of the 15th century the city became a centre of Renaissance culture. 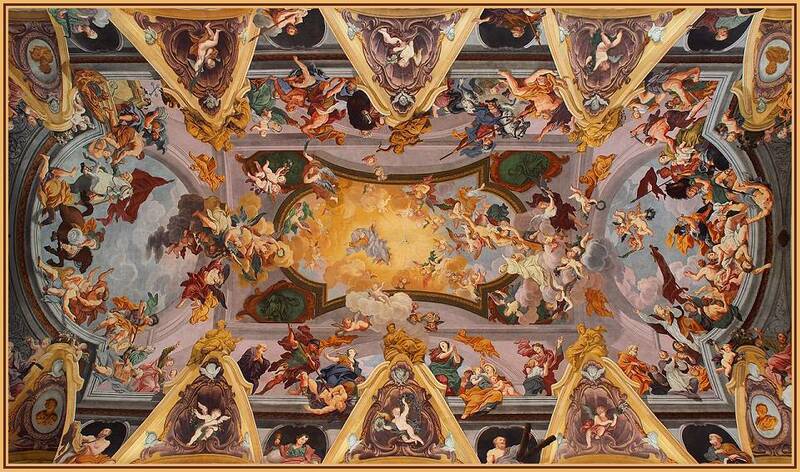 Massive papal patronage of the arts began to enrich Rome. During the papacy (14471455) of Nicholas V the defence walls were repaired, palaces built, and churches restored. Major artists and architects now worked in Rome, and by the end of the century it had supplanted Florence as the primary focal point of the Renaissance. 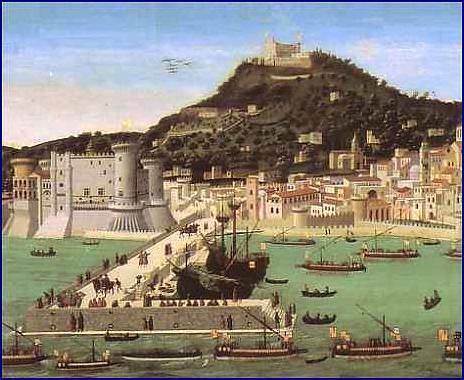 The sack of the city in 1527 by Habsburg mercenaries was a temporary setback. During the 16th century Michelangelo, Donato Bramante, Raphael, and other artists worked for the popes, and construction of the new Saint Peter's Basilica progressed. It was not until the reign (15851590) of Pope Sixtus V, however, that the dense, confused medieval urban pattern began to be modernized. Three major streets were laid out to radiate from the Piazza del Popolo to the center of the city. Sixtus also built squares and fountains, and he restored the Acqua Felice aqueduct. In addition, old churches were refurbished, and Saint Peter's dome was completed. It was hardly surprising that music too should flourish against this rich visual background. 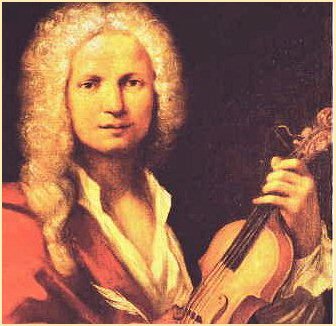 Typical of baroque musicians active in Rome was the composer and violinist Arcangelo Corelli (16531713), whose style of playing became the basis for the violin technique of the 18th and 19th centuries, and whose chamber music compositions were farreaching in their influence. 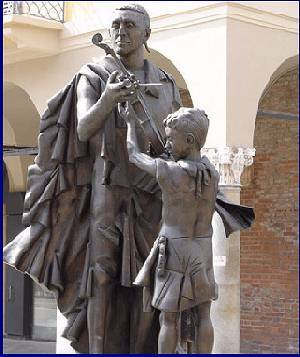 Born in Fusignano, he studied in nearby Bologna and after 1675 lived in Rome. There his patrons included Queen Christina of Sweden and, after 1690, Cardinal Pietro Ottoboni, (16671740), librettist and important music patron who as vicechancellor of the church resided in the Palazzo della Cancelleria where PoeticoMusicali Accademie were held and operas and oratorios performed. The most widely published and reprinted composer before the Austrian Joseph Haydn, Corelli was the first composer to gain an international reputation solely on the basis of his instrumental music. Many elements of his style became commonplace in the 18th century, and his works are early examples of the newly evolved system of major and minor tonality. As the preeminent violin virtuoso of the day, he taught many leading violinistcomposers of the 18th century, among them the Italian Francesco Geminiani. Many eminent composers of the baroque period, notably Handel for example, sojourned in Rome, and Corelli's influence was to spread itself throughout Europe. 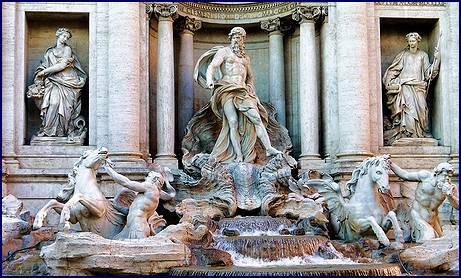 Rome was of course also featured on the Grand Tour, which the wealthy of Europe and especially England were enjoying in increasing numbers during the 1700s. Rivalling Rome in its musical influence if not in its architectural and artistic splendour, Naples owed its outstanding position in music to the inordinate number of talented musicians to which the city gave birth  as well as to its music conservatories which educated and served them so well. Indeed Naples has aptly been called the conservatory of 18th century music and did in fact boast four conservatories of the highest musical caliber. Scarcely any great composer of the first half of the settecento was not influenced by Neapolitan music. Indeed, most great musical figures of the time visited Naples or stayed and worked there for some time. The brilliant Nicola Porpora (b. Aug. 19, 1686, in Naples; d. there February 1767), for instance, not only taught Joseph Haydn but knew intimately such worldrenowned figures as Bononcini, Farinelli, Handel, and Hasse. In 1733, he went to London, joining first Hasse, then Bononcini, to compete with the giant Handel. Some say that Porpora's influence modernized Handel's late operatic style of composition - or at least had had that tendency up until Porpora's departure from England for Italy in 1737. The universally acknowledged master of Neapolitan Baroque music was Alessandro Scarlatti (b. May 2, 1660, in Palermo; d. October 24, 1725, in Naples). Almost overnight he revolutionized the provincial musical atmosphere prevailing at Naples before he arrived in February of 1684 as new maestro di cappella at the Viceregal Chapel. Direct inheritor of the grand Italian traditions of opera, oratorio, cantata, and instrumental composition received from Pietro Francesco Cavalli (16021676), Giacomo Carissimi (16051674), Alessandro Stradella (16421682), and Giovanni Legrenzi (16261690), Scarlatti was well equipped to revolutionize Neapolitan musical life. The abrupt resignation of the old Neapolitan Guard  Francesco Provenzale (ca. 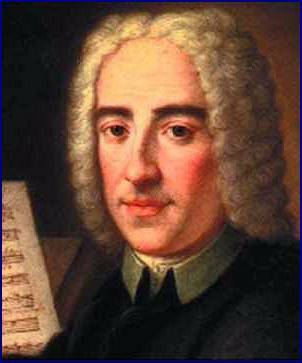 16271704) and six of his colleagues, all disappointed that Provenzale was passed over in favor of Scarlatti upon the death of Pietro Andrea Ziani (ca. 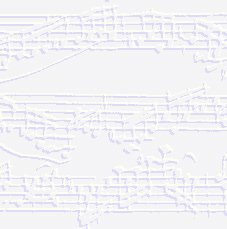 16301684), cleared the way for Scarlatti's breath of fresh air. Scarlatti's operas and cantatas, his serenatas and oratorios, and especially his instrumental works soon brought new life to Neapolitan music. He was to write over one hundred operas, six hundred cantatas and a number of oratorios. He was also frequently commissioned by members of the European nobility to compose sonatas for wind and string instruments as well as cembalo pieces and concerti grossi. His set of Sinfonie di Concerto Grosso are currently available in the Philips label performed by I Musici. 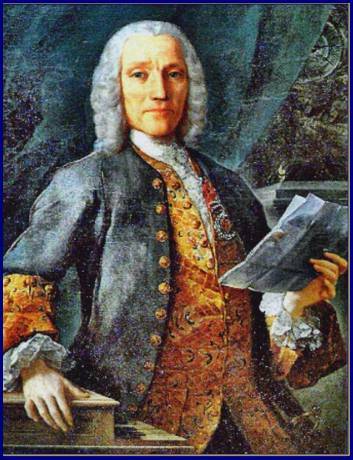 Domenico Scarlatti (b. Oct. 26, 1685, in Naples; d. July 23, 1757, in Madrid) was the sixth son of Alessandro Scarlatti. The father no doubt exposed Domenico to the best possible training in Naples, taking him in about 1708 to Venice to study with Francesco Gasparini (16681727), himself a pupil of Arcangelo Corelli (16531713). From Venice the younger Scarlatti journeyed to Rome  with Handel, according to report - where both performed before Cardinal Pietro Ottoboni. About 1720 he moved to Lisbon, and some ten years later to Madrid. He is perhaps bestknown today for his keyboard sonatas, in which he borrowed liberally from Hispanic folk tunes and rhythms creating a unique blend which might be called "Iberian Baroque". Francesco Durante (b. March 31, 1684, in Fratta Maggiore; d. August 13, 1755, in Naples) was the busiest of Neapolitan teachers, holding posts at both the Sant' Onofrio and Santa Maria di Loreto conservatories, and teaching, playing, and composing elsewhere as well. His career developed at the best possible time for taking maximum advantage of the new depths and richness, the new musical fluency which Alessandro Scarlatti had created for Naples. Durante so profited from these fortunate circumstances that Rousseau was encouraged to name him "the greatest harmonist in Italy, that is to say, of the world." But for consistently high inspiration few composers of the time, Neapolitan or otherwise, can compare with Giovanni Batista Pergolesi (b. January 4, 1710, in Jesi; d. March 16, 1736, in Pozzuoli). His career also coincided with the most fruitful period of Neapolitan musical history. It was Pergolesi's destiny to take advantage (within two and a half decades of a tragically foreshortened life) of the grand opportunity for completely new musical formulation which Scarlatti's works provided. Almost singlehandedly Pergolesi forged a new dramatic style, utilizing for his purposes the lowly opera buffa, and bringing to the stage and concert hall all the subtleties of psychological, idiomatic, and motivic development and all the dramatic flexibility so vital to the art of musical characterization which Mozart was to bring to perfection. Venice, the great independent trading cityonthewater in the north, was also a place of great wealth, architectural masterpieces, and musical influence, the most famous among its musical sons being Antonio Vivaldi. Venice also featured on the European nobility's "Grand Tour". In retrospect however we may perhaps sadly note that the economic power and wealth of Venice was already in decline, and by the end of Vivaldi's lifetime economic recession had set in from which Venice was never to recover. An underlying, allpervading and inspirational influence on Italian baroque music was provided by its violinmakers, mainly centered in Cremona  the Amati family in the 16th and 17th centuries, the Guarneri and Stradivari families in the 17th and 18th. It might be suggested that in a similar way the great organbuilders of Germany, Arp Schnitger in the north and Gottfried Silbermann in the south, inspired and challenged composers such as Buxtehude and J S Bach to compose organ works which would exploit to the full the varied and majestic tonalities of these notable instruments. Johann Georg Pisendel (born 1687, died at Dresden in 1755) was not only one of the foremost German violinists of the 18th century, but also a musical personality of international renown. At the age of ten he went to Ansbach, where Giuseppi Torelli became his teacher. When he was 25 he entered the Dresden Court Orchestra, and in 1728 he was appointed as its leader, occupying that post with great distinction until his death. 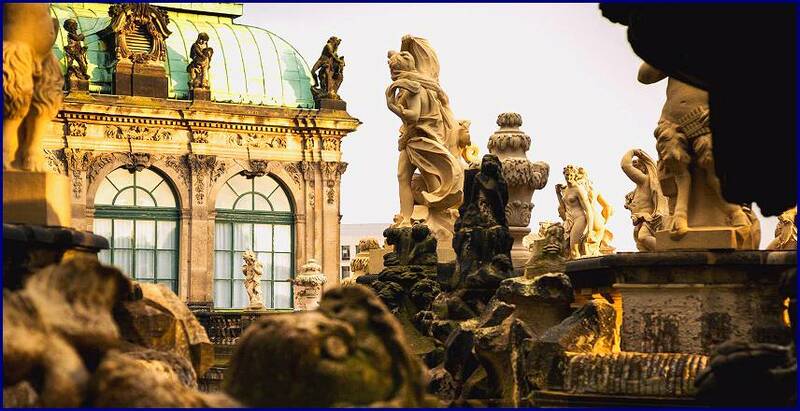 It was largely to his work that the Dresden Court Orchestra owed its fame throughout Europe. Johann Friedrich Reichardt wrote in 1774: "Good though the Berlin orchestra has always been, those people qualified to judge and who were acquainted with both always preferred the Dresden orchestra under the leadership of the renowned Concertmeister Pishändel." With the permission of the Court, Pisendel traveled to France in 1714 and to Italy in 1716/17. He studied under Vivaldi in Venice, also coming into contact with other prominent Italian masters of the day, and after his return to Dresden he introduced the latest Italian violin compositions. We know that Pisendel played a concerto by Torelli for the Leipzig Collegium Musicum, while Dresden was, at that time, the center of the German cult of Vivaldi, under whose influence J.S. Bach composed his organ concertos. 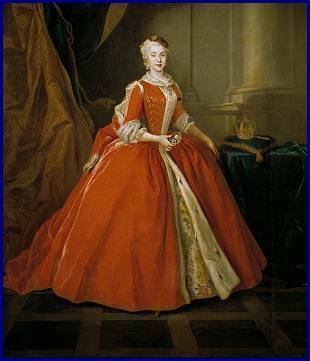 The political and cultural links between Saxony and Italy were made even stronger by the coronation of Marie Amalia of Saxony as Queen of Naples. The royal residences in Munich, Stuttgart and Hanover also allowed themselves the luxury of Italian musical establishments, and many of the smaller princely courts where the music was directed by Germans ordered the latest scores from Italy. Pisendel's significance and stature as an original composer were long underestimated. While he was not a prolific writer, those compositions of his which survive are of a high quality, and demonstrate an individual creative purpose. A sonata for violin solo is a highly exacting work both from the musical and violinistic viewpoint, and tends to confirm the theory that Pisendel's playing and style may have led to the composition of Bach's solo sonatas. Indeed it has been suggested that Bach's Six Sonatas/Partitas for solo violin were composed precisely as a challenge to Pisendel during a visit with Bach at the Köthen Court where Bach was then in service. 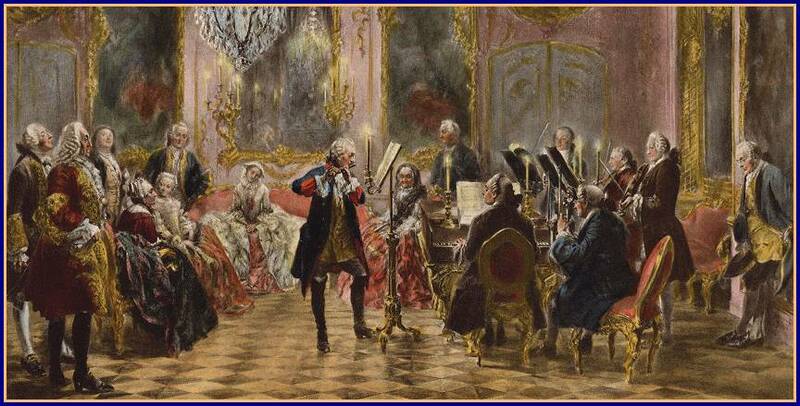 Likewise, the Capellmeister of Gotha, Gottfried Heinrich Stölzel (16901749), went to Italy in 1713 in order to come into personal contact with the foremost musicians of the age, and to miss no opportunity "where anything was to be heard". He met Alessandro Scarlatti in Rome, and in Venice Vivaldi, Marcello, and his fellowcountryman Johann David Heinichen. His journey took him by way of Florence, Pisa and Leghorn, and the return journey through Bologna, Venice and Trieste to Innsbruck, then via Linz and Budweis to Prague. Stölzel's 'Concerto a quattro chori' for example, was a splendid highlight in the court music making of the time. The very scoring of this work, with its two groups of trumpets, a group of woodwind and subdivided strings, creates the air of festive splendor characteristic of the later Baroque period, with its sheer joy in making music. J.S. Bach knew and probably valued this splendidsounding work by his colleague at Gotha; he used the fugal theme from the Finale of this Concerto in his G minor Bourrée from the "Clavierbüchlein'' for Wilhelm Friedemann Bach  in which a "Partia di Signore Stelzeln", in several movements, has a place of honour. Though highly influenced by developments in Italy, Germany was in fact grafting these forms and styles onto its own indigenous traditions. 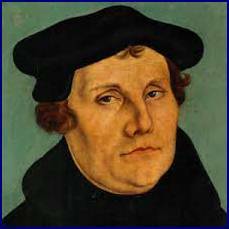 The Reformation, led by Martin Luther and formally begun in 1517, brought religion to the masses, both through Luther's translations of biblical texts into German, and through the extensive use of the chorale as an essential textual/musical accompaniment to the church service. From the traditional chorale melodies much of German baroque music was to grow and develop. Cantatas and Passions were frequently choralebased, and if not, were simply extensions of the chorale tradition. 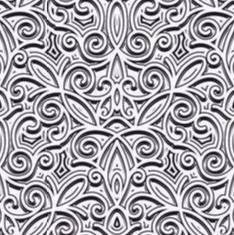 Organists too would elaborate on the chorale for the week, either by adding interpolations between verses, or by composing whole sets of variations based on a specific chorale melody. To this tradition must be added the instinctive German love of order, manifested still today in so many aspects of German life. Thus German composers were attracted to the fugue, the canon and passacaglia for their basis of fundamental form, pattern and unity. One of several early baroque composers who contributed significantly to the marriage of chorale and counterpoint was Dietrich Buxtehude. Of Danish origin and born at Oldesloe, Holstein (then a Danish possession), in 1637, he died at Lübeck in 1707 aged sixtynine or seventy. In addition to his compositional contributions, his artistry on the organ was legendary. His performance of sacred music, instrumental and vocal, made Lübeck a place of pilgrimage for musicians anxious to advance in their art, and the young Sebastian Bach himself travelled two hundred miles to hear them and to sit at the feet of the Master. In Bach's Cantatas and Passions, and in his numerous chorale preludes and variations, the development of the chorale reached a peak which has never subsequently been exceeded. The chorale has continued, and continues to occupy a place of fundamental in German life, both Protestant and Catholic. The chorales have been continually heard in the homes as much as in the churches. It was customary for centuries for church choirs to perambulate the streets during the week, singing them before the houses. Even in the 1880s Steinert, the Boston piano dealer, revisiting his native Bavarian town after an absence of forty years, found the nightwatchman in the streets still marking the hours by singing his hymn verses to their old chorale tune, as he does in another Bavarian town in Wagner's Mastersingers. The chorale, indeed, has permeated German religious, communal, and domestic life. A private traveler in Germany today may be surprised to learn how many of those he or she meets are regular and enthusiastic participants in church choirs, once again attesting to the Germans' deep love of choral music. The 1600s proved to be a century of political upheaval and change in England  change from autocratic to parliamentary monarchy. As the century opened Britain was ruled by a highly autocratic monarch who would have nothing to do with the young and aspiring parliament. The showdown came with the trial by parliament and subsequent execution of King Charles I in 1649. This was followed by an attempt at a republic under Cromwell  which proved to be chaotic and disastrous. The restored monarchs  Charles II and James II  were still somewhat reluctant to accept the supremacy of parliament, until parliament itself called upon James's daughter Mary and her Dutch husband William of Orange to rescue the country from its political instability. This they did in 1689, reigning jointly thereafter as William III and Mary. This brief history will explain why, after the cultural vacuum and chaos of the revolution, the republic and its ensuing years, music would once again flourish as the century drew to a close. Henry Purcell was born in 1659, and though he was to live a very short life (he died in 1695) he was able to enjoy and make full use of the renewed flowering of music. He devoted much his talent to writing operas, or rather musical dramas, and incidental stage music; but he would also write chamber music in the form of harpsichord suites and trio sonatas, and became involved with the growing London public concert scene. For a young London Musical Society he produced Odes to celebrate Saint Cecilia's day (the Patron Saint of Music)  which any musiclover so desirous may celebrate on November 22nd. 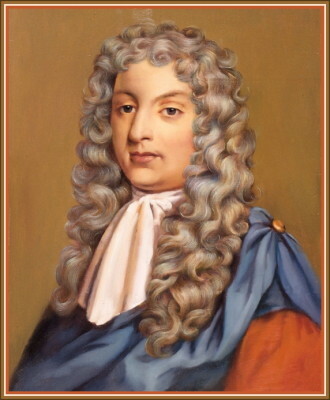 As the son of a musician at court, a chorister at the Chapel Royal, and the holder of continuing royal appointments until his death, Purcell worked exclusively in Westminster for three different Kings over twentyfive years, and facts about Purcell's activities at court are fairly well documented. Among other works written for the Court, he produced Odes for royal birthdays, among which is the lively and tuneful "Come ye Sons of Art". The death of Queen Mary was a devastating blow which deeply affected the country. Mary had been a muchloved monarch and the public demanded a funeral which reflected its devotion. No expense was spared. Sir Christopher Wren had ensured that the route to Westminster was lined with black railings. Three hundred somber women led the entourage dressed in black capes with boys carrying their trains. 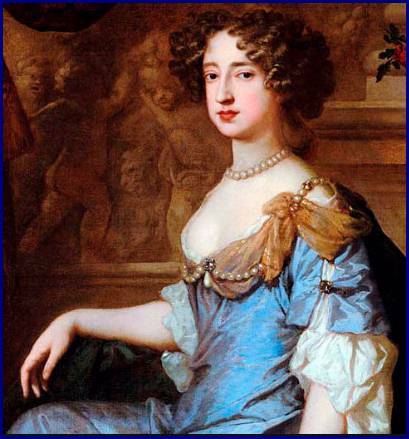 Purcell was also called upon to provide an ode for the death of his (and the country's) beloved Queen Mary. How perfectly the occasion leant itself to Purcell's evocative and bittersweet music. In November of that same year Westminster Abbey would also be the setting for Purcell's own funeral, at which the combined choirs of the Abbey and the Chapel Royal would commemorate the premature passing of 'the English Orpheus'. During the last decades of the 1600s England had learned much about Italian and French musical styles from Purcell and would enter the new century warmly receptive to continental fashions. 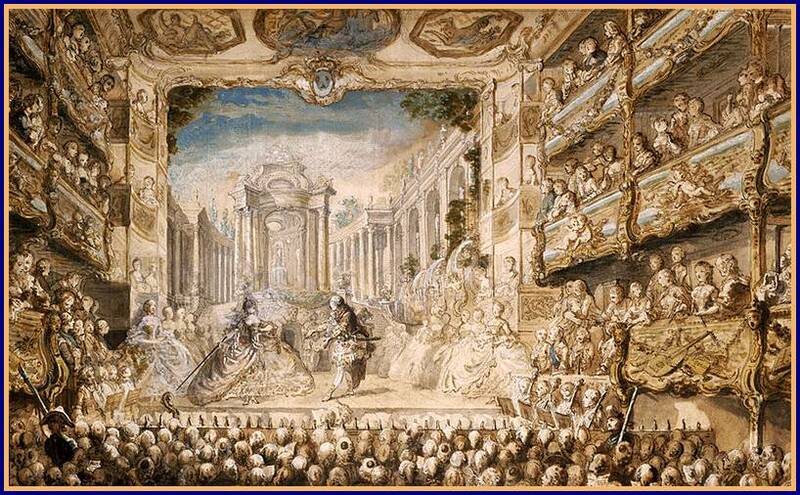 English musical life during the first half of the 1700s was dominated by the giant figure of Handel, who had settled in London in 1712; here once again, royalty had played its influential part. Following his early studies in Germany, Handel went to Italy where he spent more than three years, in Florence, Rome, Naples and Venice. In Rome he studied with Corelli, and may also have met Vivaldi in Venice on his return. 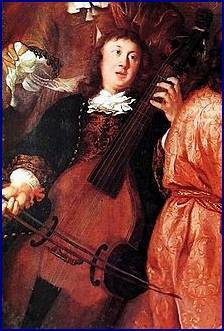 Handel left Italy early in 1710 and went to Hanover, where he was appointed Capellmeister to the Elector, George Louis. The Royal Houses of Britain and Europe had always been closely interrelated, and the Act of Settlement of 1701 which secured the Protestant succession to the Crown, made George's mother heiresspresumptive to the throne of Great Britain. In 1705 George had already been naturalized by Act of Parliament, and in August 1714 the death of Queen Anne made him King. Handel, who had already visited London and apparently found it to his liking, was to follow the Elector in adopting British nationality, and indeed part of Handel's success in London was due to the royal patronage of the Elector of Hanover, now King George I.
Handel's influence both upon the cultural milieu of his day and upon his younger English contemporaries can hardly be overstated. 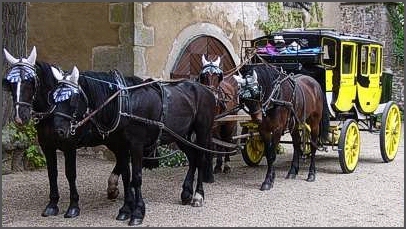 It was the beginning of the age of the "Grand Tour," when educated and wealthy citizens embarked on the "Grand Tour' to Italy, France, Germany and The Netherlands. As often as not they returned home full of enthusiasm for the academies, theatres, opera houses and concert life which they had encountered in Europe. 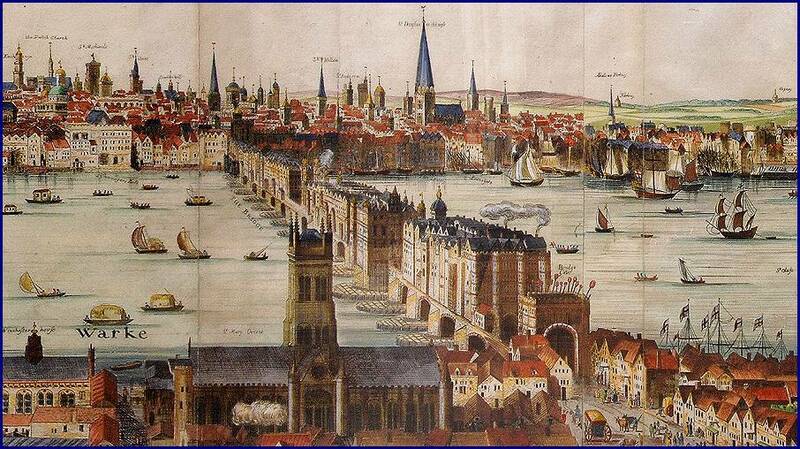 England, in short, became a welcoming host to foreign virtuosos, impresarios, singers and composers. As the Hamburg theorist, critic and composer Johann Mattheson noted in 1713 (Das NeuEröffnete Orchester): "He who in the present time wants to make a profit out of music betakes himself to England." 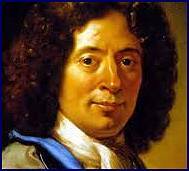 In England, as to begin with in Germany, the chief model for instrumental music was Corelli, whose compositions first became known in London towards the end of the seventeenth century. In 1715 John Walsh senior  he and his son were soon to become Handel's publishers  issued Corelli's 12 Concerti Grossi Op. 6, from which time they were performed, adapted, and from all accounts, universally loved. The English music historian Sir John Hawkins mentions an occasion in 1724 when an enthusiastic group of amateurs, having just acquired Corelli's Op. 6 from a bookseller, "played the whole 12 concertos through, without rising from their seats" (History of the Science and Practice of Music, 1776). Concertos by Corelli's contemporary, Torelli, and the uptodate fashionable Venetian concertos by Vivaldi were also published and became popular in England. 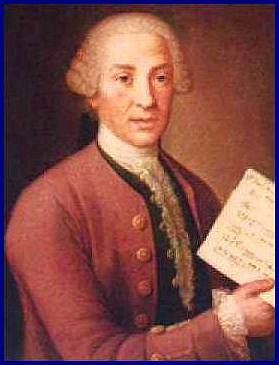 Among the very first composers to have concertos printed in England was Francesco Geminiani. Geminiani was born in Lucca and studied the violin under Corelli in Rome. It is also possible that he studied composition with Alessandro Scarlatti in Naples. In 1707 Geminiani returned to his native town of Lucca, where he played in the town orchestra for three years before taking up a position in Naples in 1711 as leader of the opera orchestra. In 1714 he came to England where his playing quickly gained him the support of leading figures at court and among the aristocracy. Because Dublin was a capital city, a state orchestra was maintained, based in Dublin Castle. It provided music for state occasions and the musicians would find employment in the various concert halls and theatres and sometimes the churches and cathedrals in the city. 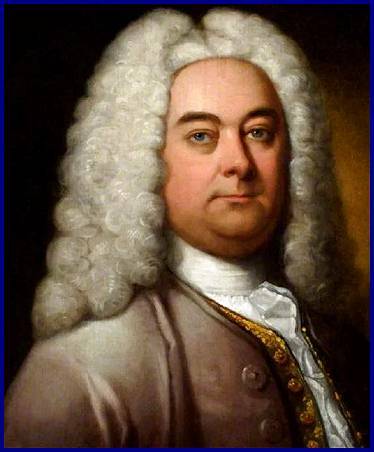 Handel visited Dublin and spent time there in 1741/42, a visit which culminated in the first performance of Messiah on 13 April 1742. Geminiani left London for Dublin in 1733 where he built up a fine reputation as a teacher, performer, concert promoter and theorist. In that year he opened a Concert Room in Dublin, apparently using the upstairs premises for music and the rooms below for trading in pictures. The contribution of France to baroque music, particularly in its earlier period, 16501700, was comparatively small. This was due entirely to the influence of one Giovanni Battista Lulli (16321687), an Italian of noble birth who, as a young man, journeyed to France, taking up service in 1653 at the Court of Louis XIV. Here he used his influence with the king, combined with an aggressive sense of business, to create for himself a virtual monopoly over French music which was to last beyond his death and well into the early 1700s, it being only with Rameau and Couperin that France began to find itself musically once again. The stranglehold of Lully (to use his later French spelling) on French music at the time could hardly be overemphasized. A series of highly restrictive royal patents gave him a total monopoly on the use of music on the French stage. Aggressive and shrewd in business, Lully bought up the leading theater venues, and to strengthen his position he even persuaded the king to issue an ordnance limiting the number of singers and instrumentalists that could perform with other Parisian theater troupes. 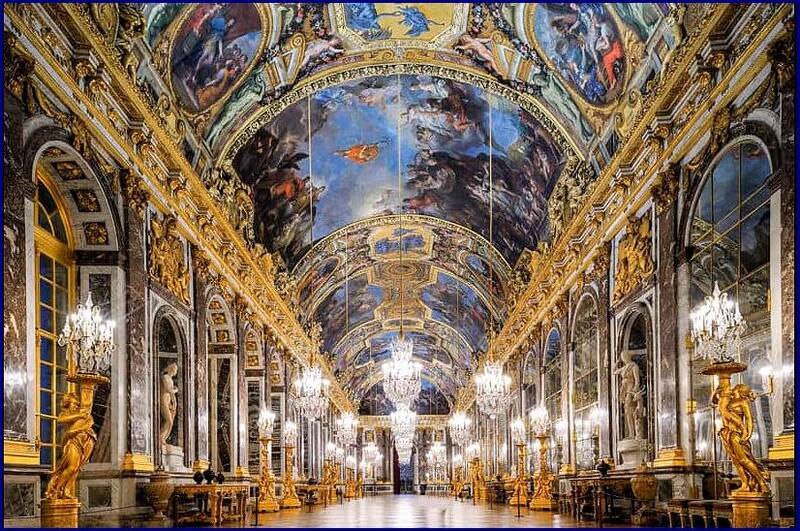 The major influence which France did exert over the baroque age was one of courtly opulence. In 1669 Louis XIV (16381715) decided to convert an old hunting lodge at Versailles into a palace of unprecedented magnificence. It was completed in 1682, and the court moved in 1683. There was not a kingly or princely court in Europe which could match Versailles for the opulence of its gilded interiors, its mirrors and chandeliers, with an appropriately matching flamboyance of courtly ceremony, and there was not a kingly or princely court in Europe which did not, either openly or secretly aspire to match this model. Lully (now naturalized French as JeanBaptiste Lully with a 'y') reflected this ideal in the magnificence of his operas and operatic settings, staged with the aid of all kinds of machines by which suns and angels could fly about and ships could ride the wild stormy seas. His operatic texts praised the king and reflected the latest royal thinking at every turn, which of course served to strengthen his position. At the same time however, it must be stressed that his performances were not to be missed. His operas and sacred works displayed a richness and majesty (the Frenchstyle Ouverture being one of his contributions) which would attract the interest admiration of audiences, and visiting musicians from Italy and Germany. 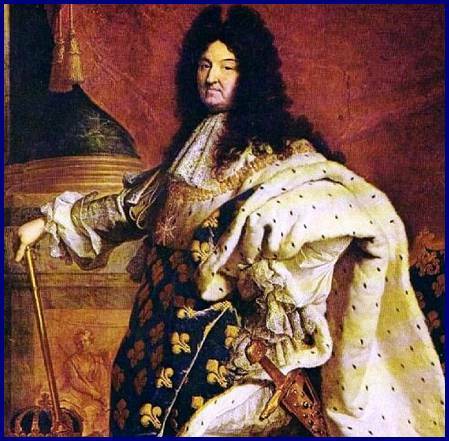 Though much or Europe's royalty was to make the pilgrimage to Versailles, none was to know that Louis and his country were overburdened by the debts which the costly Versailles imposed on them. In addition France during the latter years of the 1600s was to suffer two famines and a series of disastrous military defeats. The splendour of Versailles gradually faded along with the king's vigor, and his death in 1715 signaled both an end for Versailles (though it would later revive), and a rebirth of (nonLullian) music in Paris with a boom in sheetmusic printing and music lessons for the bourgeoisie, Musical freedom and vitality were reborn in Paris, and would continue to flourish even after Louis XV moved his court back to Versailles. The Moorish presence (roughly 8001500) gave Spanish music much of its distinctive flavor, bequeathing a legacy of complex Arabic rhythms, microtonic scales, and an ongoing love of the plucked instrument, the vihuela and the guitar. Itinerant gypsies would later add regional variety in rhythm and melody. It was this rich and varied folk mixture which Domenico Scarlatti would later explore and exploit with such flare and enthusiasm. When Emperor Charles V united the Netherlands, Burgundy, Naples and Spain under one crown, Spain would open to the whole European musical world. 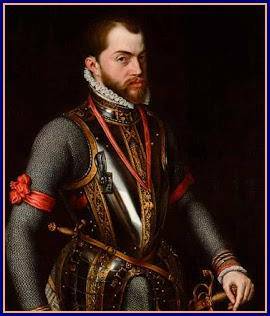 In Charles' reign and that of his son Philip II, together covering the period 15161598, Spanish music reached a highpoint. During this period organ building also flourished; organbuilders became enterprising and inventive as Spain's prosperity flowed into the churches. 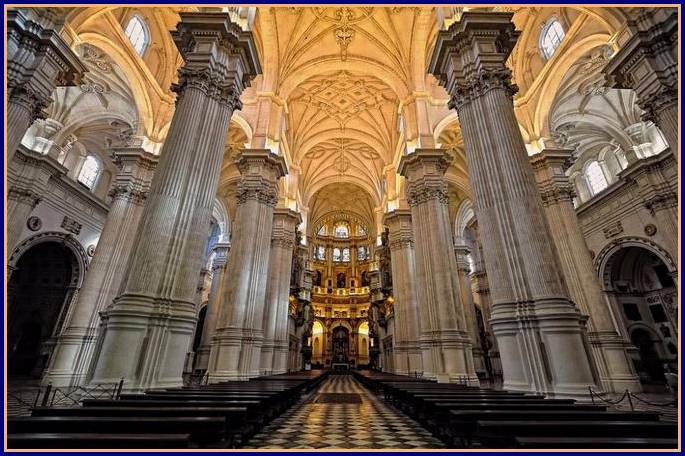 Philip II himself presented the organ in Granada Cathedral  it is still in regular use. The blind organistcomposer Antonio de Cabezón (151066) was one of the world's earliest composers for keyboard, his works exhibiting a fairly advanced style. Significant musical developments during the baroque period however, took place in other areas of Europe. Looking at the names of Spanish composers of 16501750, we find not one of any special note. The major figure of the Spanish baroque was Domenico Scarlatti who was born, and received his musical training, not in Spain but in Italy. In Scarlatti's 500 or so Sonatas we find all the richness and excitement, the melodic and rhythmic variety of traditional Spain. As the 18th century progressed, European music was also becoming increasingly familiar in the United States, a particularly enthusiastic exponent being Thomas Jefferson, politician, diplomat, foreign minister to France, vice president under John Adams, twoterm president of the United States, and of course, author of the Declaration of Independence. 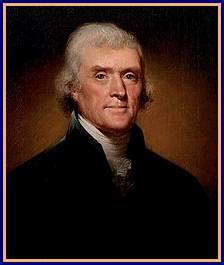 Thomas Jefferson, whose spirited pursuit of excellence has few parallels in American history, regarded music as "a delightful recreation through life" and "this favorite passion of my soul." Once again we encounter the ubiquitous Corelli, who is known to have been one of Jefferson's favorite composers. We give below a listing of some of the prominent composers and musical personalities of the baroque period. Those underlined as links will take you to a short biographical article on that particular composer. Again, most of the individual composers' stories show the great extent of their travels, their interactions with and influence upon one another. 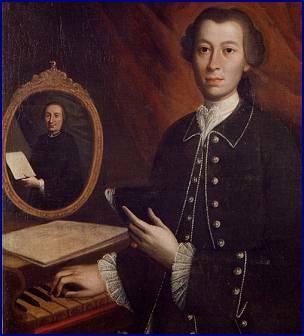 16841742  Bohuslav Matej CERNOHORSKY  "the Bohemian Bach"
One of Bach's great friends and colleagues was his contemporary Gottfried Silbermann (16831753)  a Master Organbuilder, expert acoustician, part "inventor" of the fortepiano... with help from JSB! The BAROQUE MUSIC PAGE  www.BaroqueMusic.org for a complete listing of all our Baroque Music sites. GOTTFRIED SILBERMANN: Master OrganBuilder of the German Baroque.